Dr. Stelzer trained as a physicist and has used his expertise to develop numerous optical techniques for studying problems in the life sciences. Currently his lab focuses on using light sheet-based fluorescence microscopy to study cells cultured in 3D. 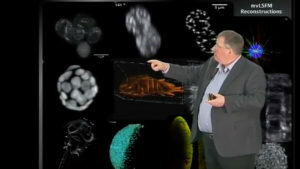 Stelzer is Vice-Director of the Buchmann Institute for Molecular Life Sciences and Professor in the Life Sciences, Goethe-Universität, Frankfurt am Main.